There’s no need to buy Pumpkin Pie Spice, it’s so easy to make. Never heard of Pumpkin Pie Spice? Well the name is kind of self explanatory, isn’t it, the mixture of spices found in Pumpkin Pie. But that’s not the only place you can use it. It’s found in many recipes, such as my favourite; Pumpkin Roll with Vanilla Bean Cream Cheese, or in muffins, French toast, Speculaas Spice Cookies, puddings and more. It’s a mixture of cinnamon, cloves, ginger, allspice and nutmeg, premixed, ready to buy for your convenience. It’s American as Pumpkin Pie. Actually that’s not true. Although Pumpkin is native to the Americas, it’s said the English that first invented Pumpkin Pie. The pilgrims brought it back to New England, where it eventually became part of the traditions of American Thanksgiving and now even Christmas. A similar spice mixture is used in the UK and Australia called Mixed Spice or Pudding Spice, although the formula and ingredients are not the same as Pumpkin Pie Spice recipe. 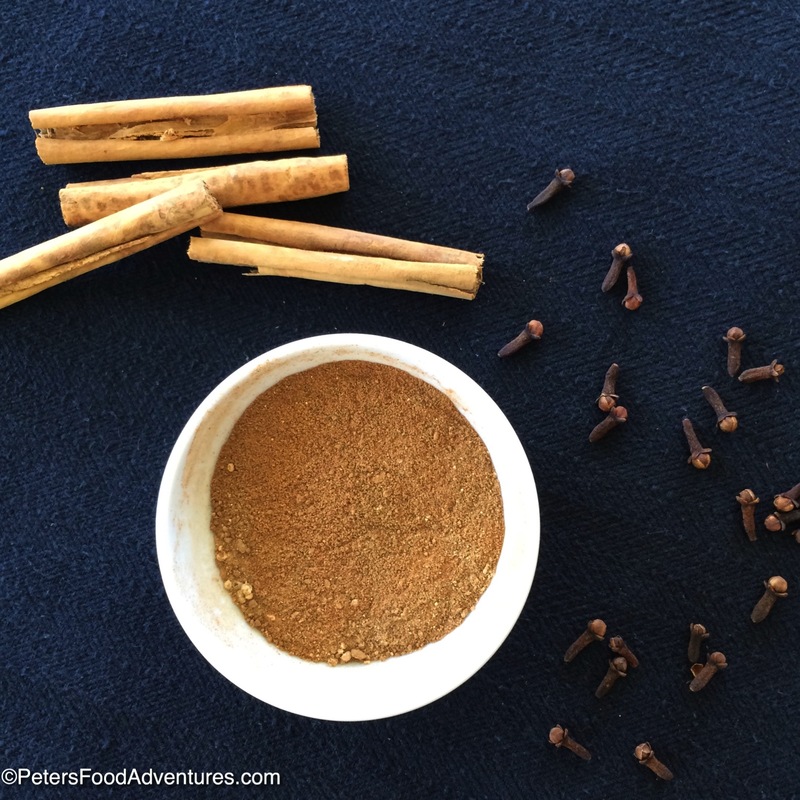 If you’ve never had Pumpkin Pie Spice and wondered what the fuss was about, this Pumpkin Pie Spice recipe is really easy to make! Bon Appetit! Приятного аппетита! Easy to make, only 5 ingredients! Never buy thanksgiving spice again! Homemade Pumpkin Pie Spice Recipe. 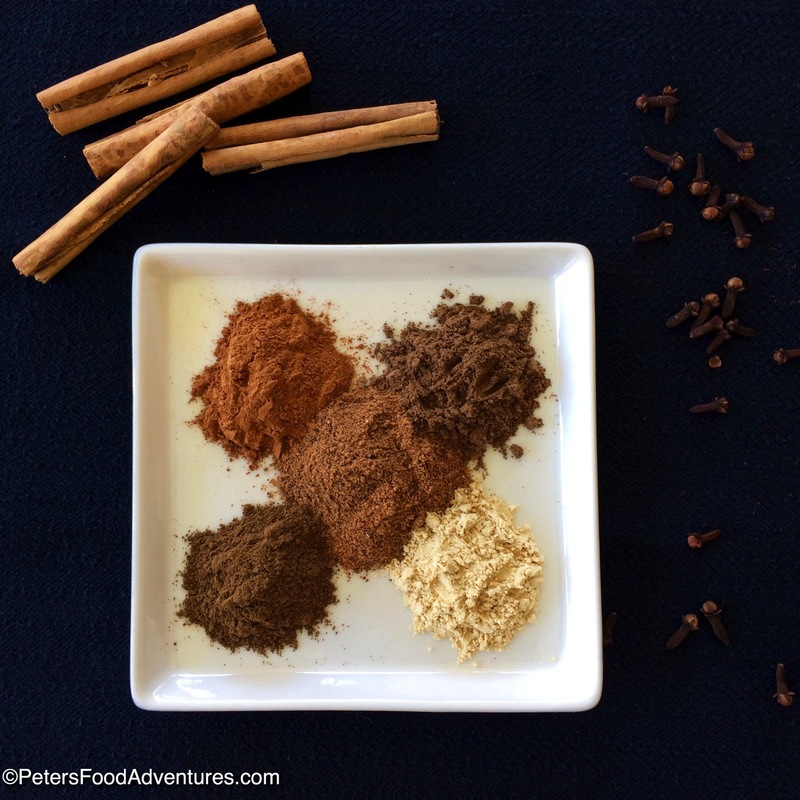 Combine nutmeg, cloves, ginger, allspice and cinnamon together until thoroughly mixed. Store in an air tight container. Yes sir, that’s what I use. Thanks for your recipe, though. I’ll make it to use…. Love this Peter! Homemade is so much better. I also make my own dry rubs and taco/fahita seasoning. Commercial is full of salt. Agreed! Homemade Cajun spice is one of my faves. Labelling laws are tricky and you don’t always know what you are eating! ???? Thank you Peter! You are right that one would be amazing. Do you have that one on your blog? Will save this for Thanksgiving! What a nice spice mix, thanks so much and you are right used is so many things! 🙂 I love this pumpkin-y time of year!! !